Arizona Governor Doug Ducey, Scottsdale Mayor Jim Lane, City of Phoenix Mayor Greg Stanton and Maricopa County Sheriff Joe Arpaio participated in the official ribbon cutting with Parsons. 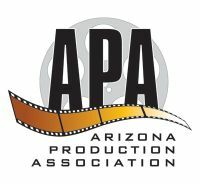 The VIP guest list was rounded out with several local government officials, members of congress and the Phoenix Film commissioner, Phil Bradstock. The main stage boasts a 40 x 73 foot Cyc wall, top-of-the-line virtual reality systems and 4K capabilities. Also housed in the facility is a second 500+ square foot stage and recording studio. Additional features include a production control room optimized with state-of-the-art audio and video equipment, five editing suites and a color correction suite fully stocked with the most advanced equipment and software on the market. SNEAKY BIG is part of Parsons’ YAM Worldwide family of businesses along with BIG YAM, The Parsons Agency. Housed in the same 60,000 square foot building, the full service advertising agency also celebrated the grand opening of its new space during the event. During the grand opening, Parsons led select VIP guests on a behind the scenes tour of the studio, after which Governor Ducey tweeted that with each new venture Bob Parsons keeps Arizona on the cutting edge of excellence and ingenuity. For more information on SNEAKY BIG services, or to schedule a tour, please visit www.SNEAKYBIG.com. SNEAKY BIG STUDIOS is one of YAM Worldwide’s core businesses. Others include: BIG YAM, The Parsons Agency, Scottsdale National Golf Club, YAM Capital, YAM Properties, Parsons Xtreme Golf (PXG), Harley-Davidson of Scottsdale, GO AZ Motorcycles, Spooky Fast Custom Finishing, Southern Thunder Harley-Davidson and alternate retail outlet Graceland Harley-Davidson. Also operated by YAM Worldwide is The Bob & Renee Parsons Foundation.